This exciting new programme will provide an excellent opportunity for participants aged 14 years and over who wish to further their knowledge of theatre and performance. The programme is perfectly targeted at those who are wanting to develop skills for their actor’s toolkit and those interested in applying for further training . This course offers valuable vocational training for young actors of all backgrounds and experience with the course being led by seasoned professionals, renowned industry performers and specialist practitioners. Feed the Need @ Little Shop! Inspired by the sci-fi comedy spoof joining a florist assistant as he becomes an overnight sensation after discovering an alien plant. A deliciously dynamic musical score delivers toe tapping tunes but when the plant offers fame and fortune in exchange for 'food', how far will Seymour go to satisfy the bad tempered singing carnivore? 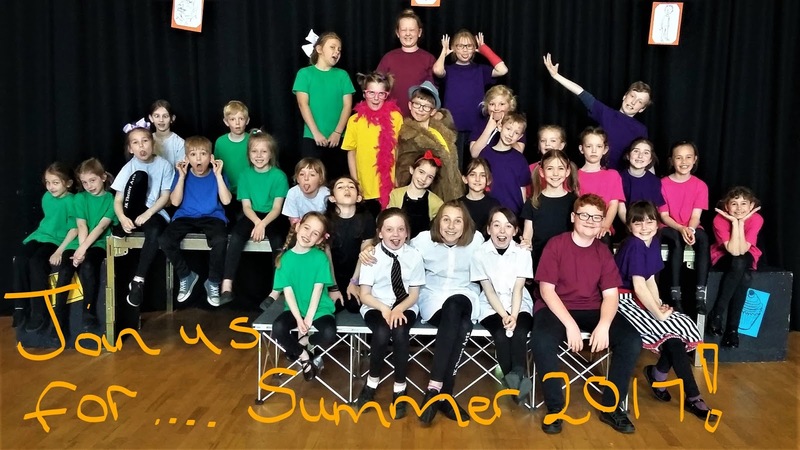 Both workshops are a fantastic opportunity for young people to learn theatre skills and work as part of a team, discovering their own versatility and encouraging creativity. Our workshops are open to everyone with no previous experience necessary. An enthusiasm to explore drama, dance and singing within a creative environment is a must! Parents will be invited to a costumed performance on the last day of each workshop. Early drop off from 9am for all and late stay options for early years until 1pm and Main School until 3.30pm. Available for an additional £5 per child per hour of the workshop day.